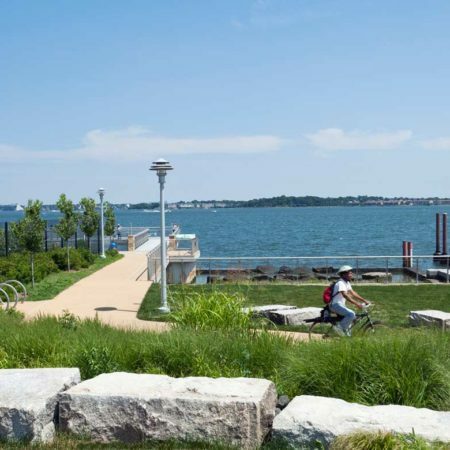 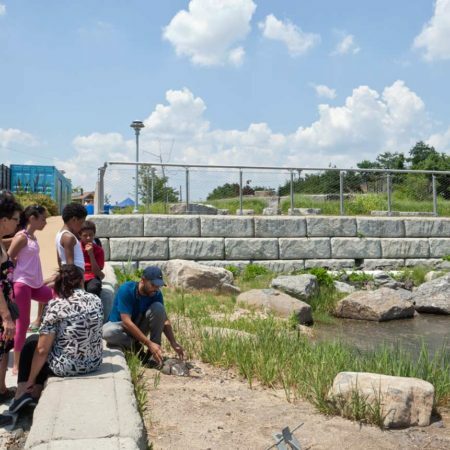 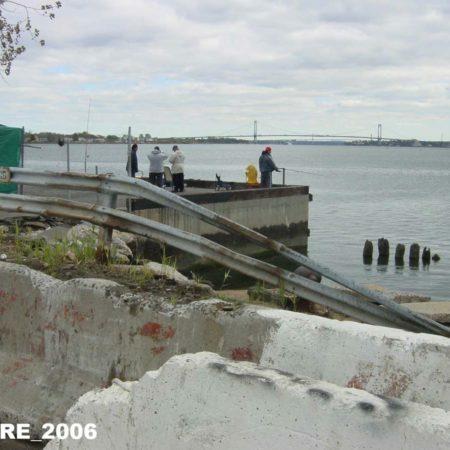 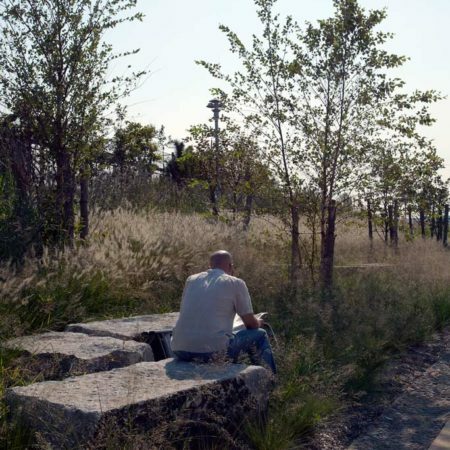 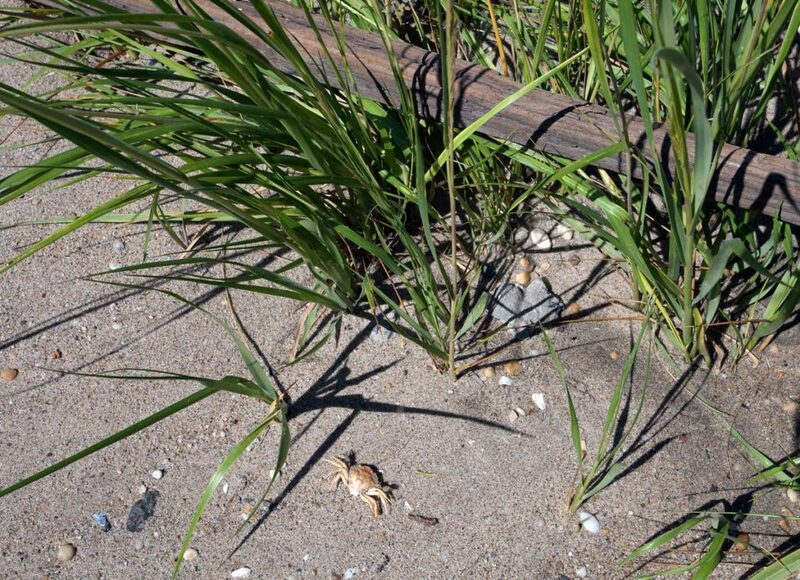 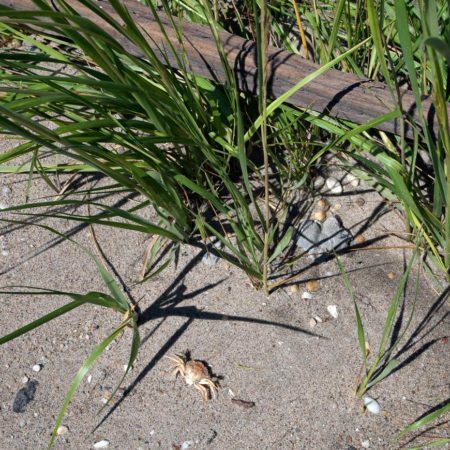 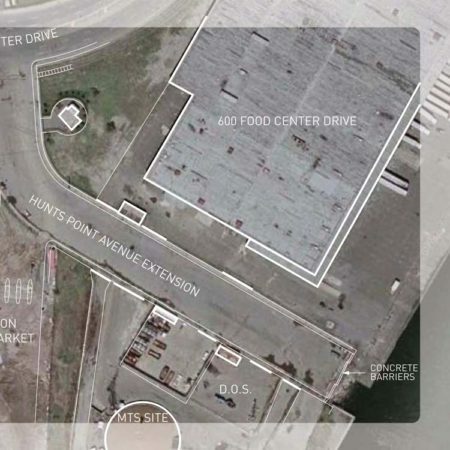 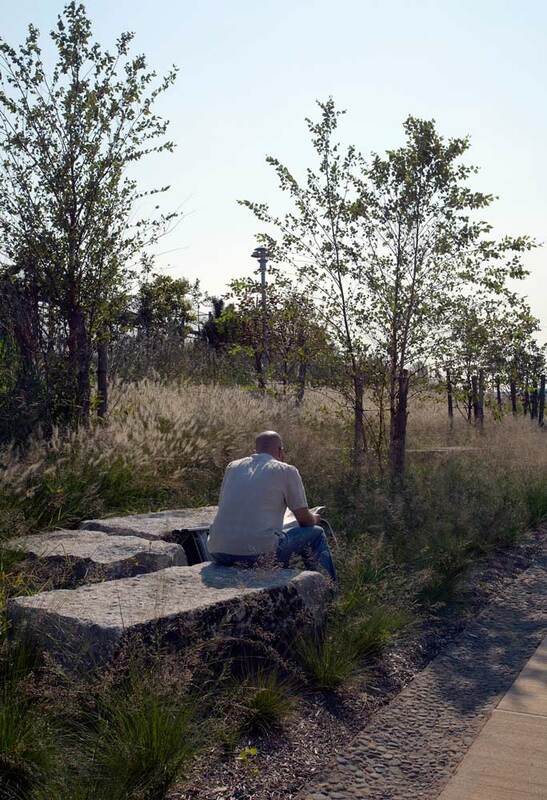 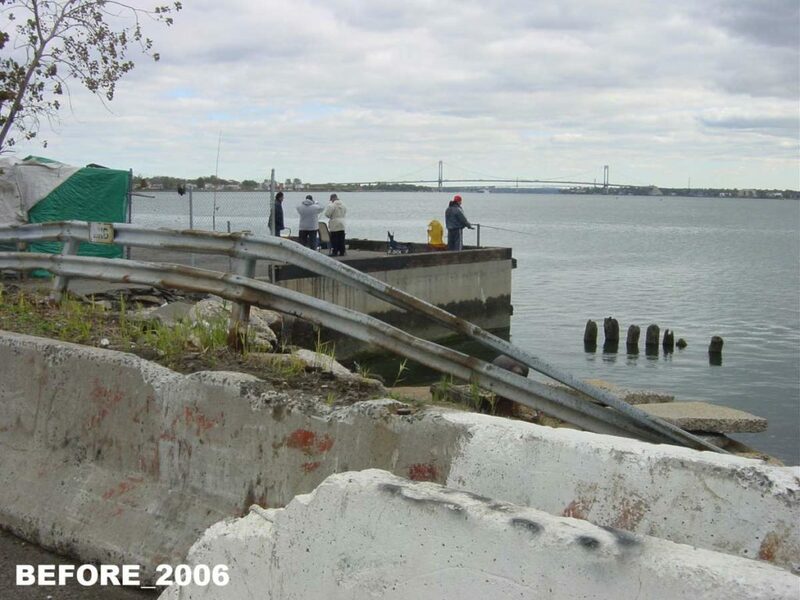 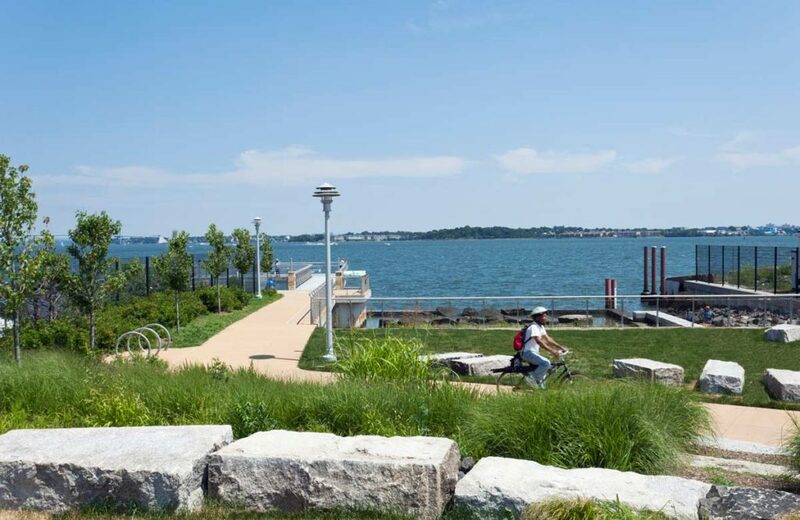 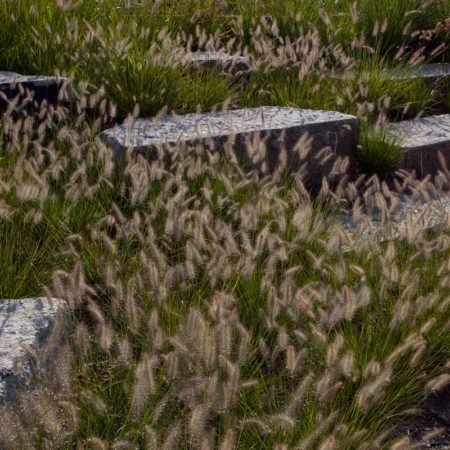 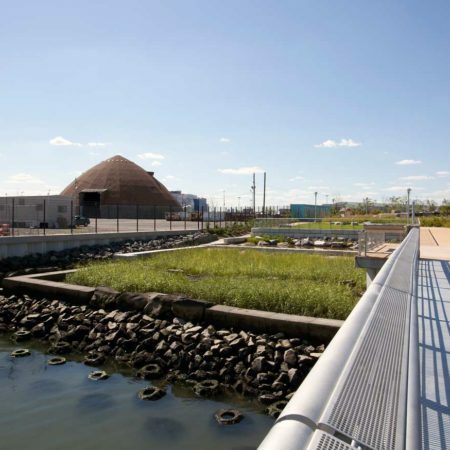 Hunts Point Landing transformed a degraded, contaminated shoreline into a healthy wetland and well-loved park. 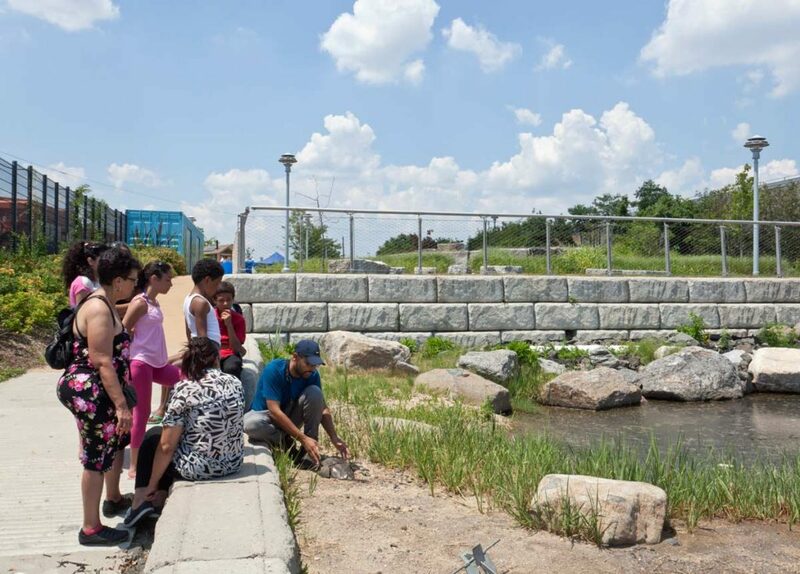 Working closely with city agencies and local community-based partners, MNLA led a master planning team to define the route and character of the South Bronx Greenway within the Hunts Point and Port Morris neighborhoods. 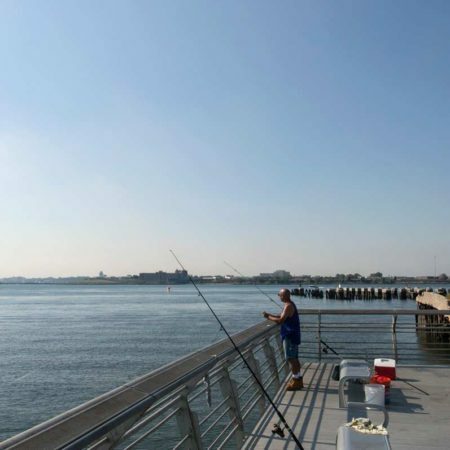 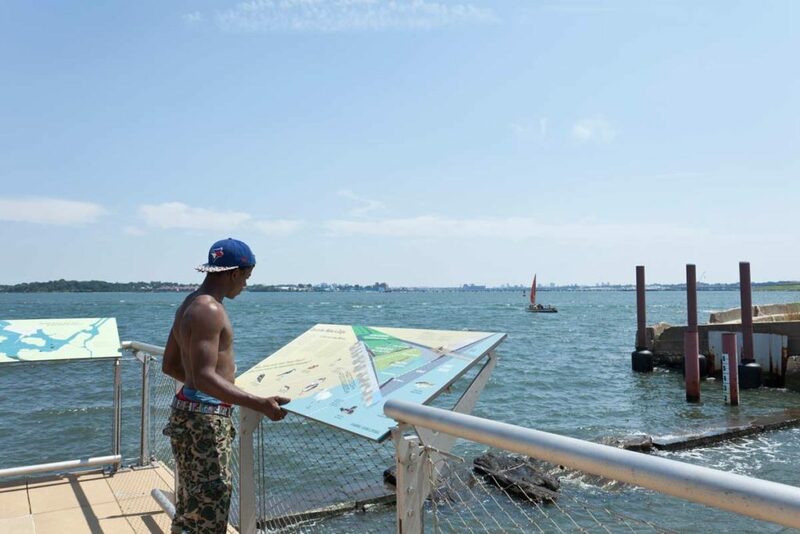 The Master Plan provides some of the first waterfront access to the South Bronx, contributes significantly to air and water quality improvements, and fosters compatible economic development. 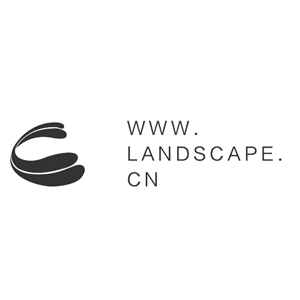 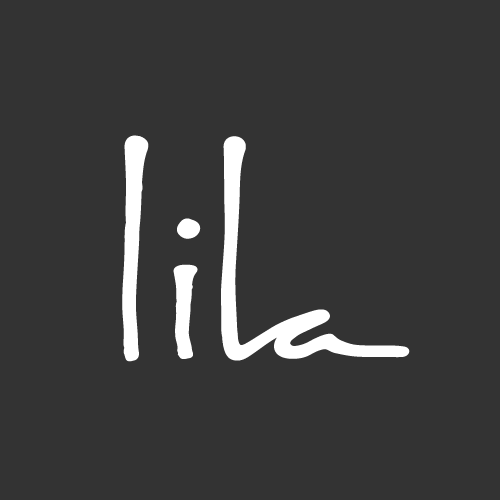 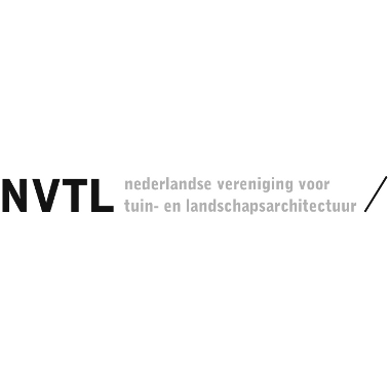 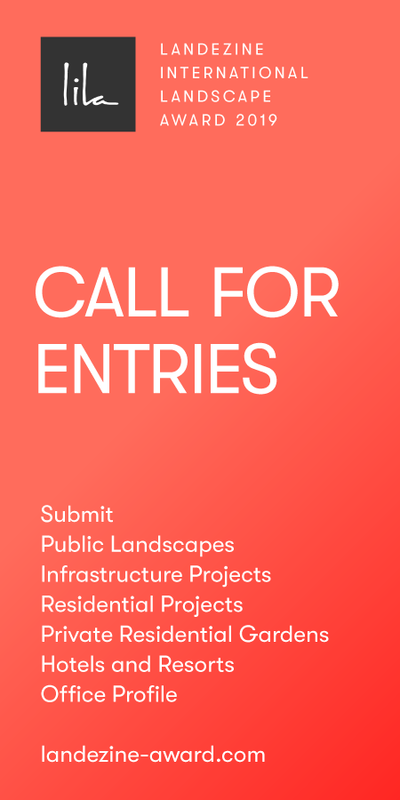 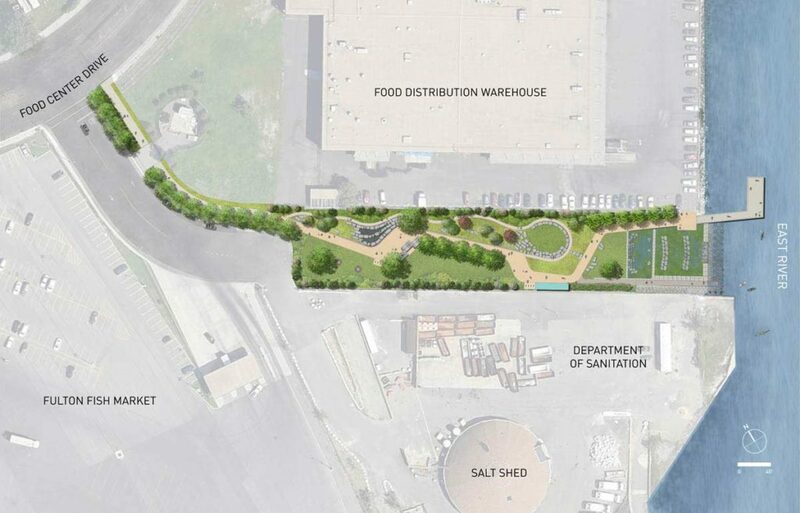 A central premise of the Plan is to demonstrate that community and industry can coexist through thoughtful design. 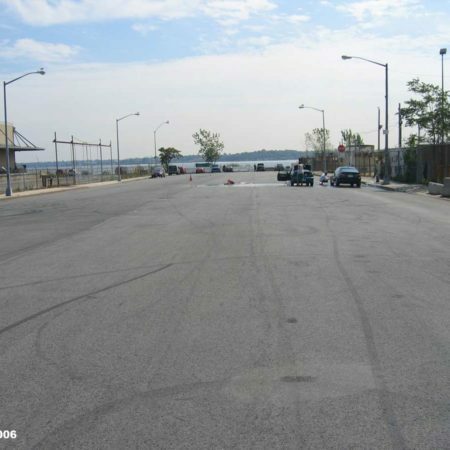 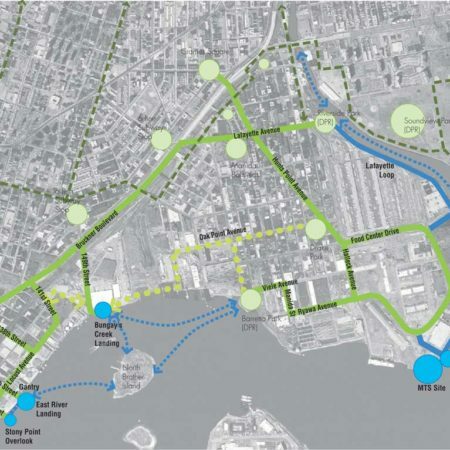 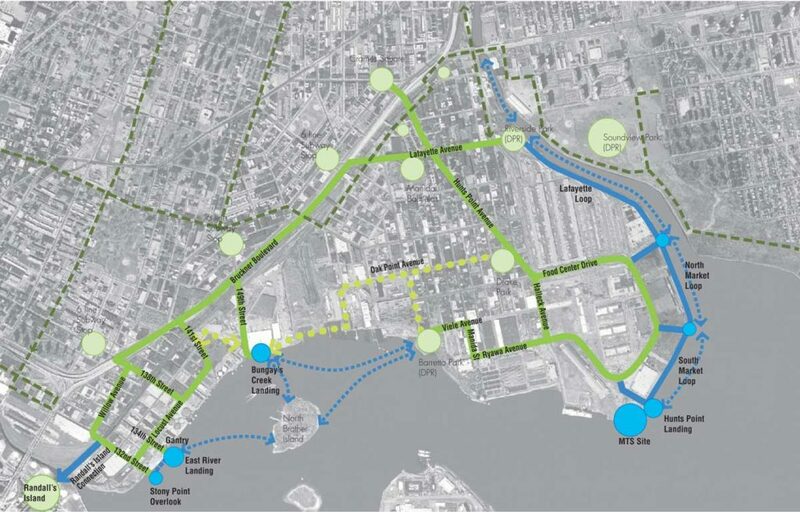 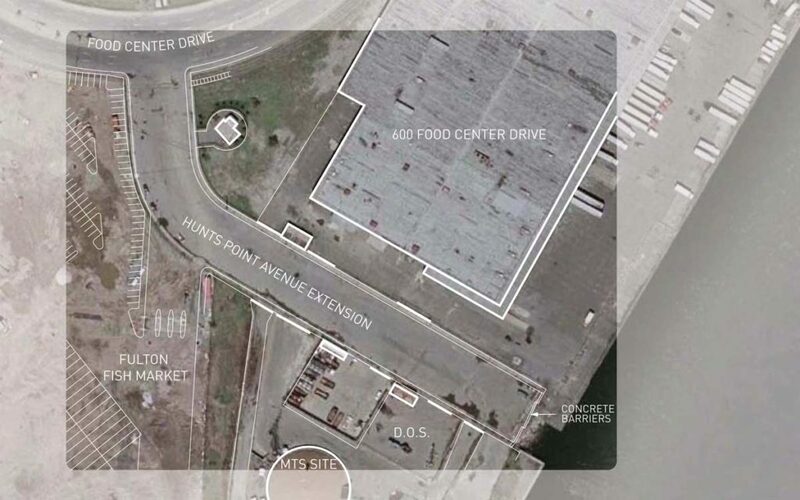 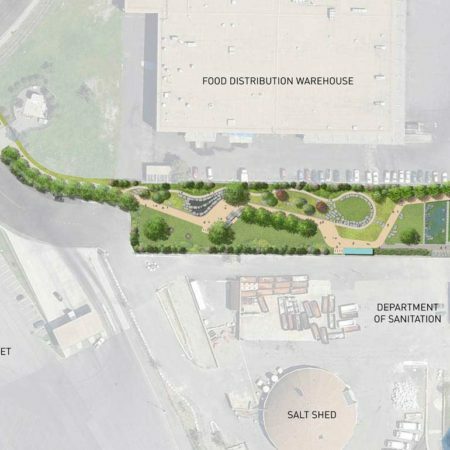 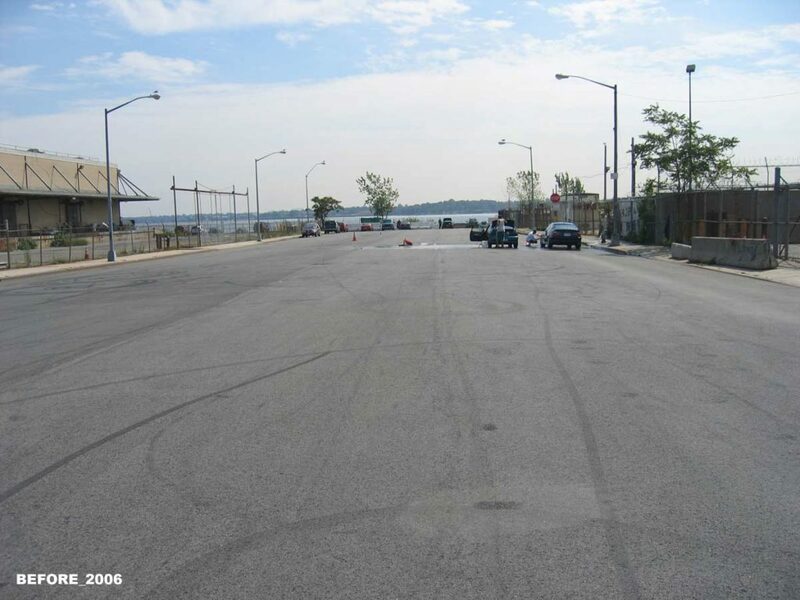 Hunts Point Landing is one of five priority components of the South Bronx Greenway Master Plan. 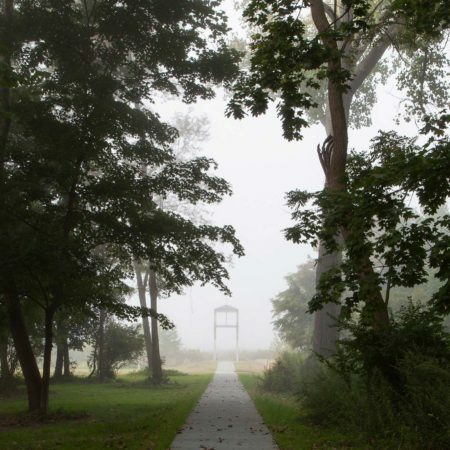 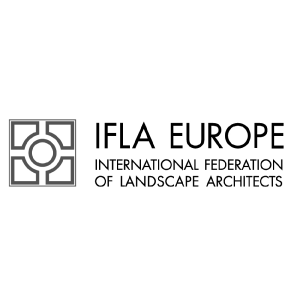 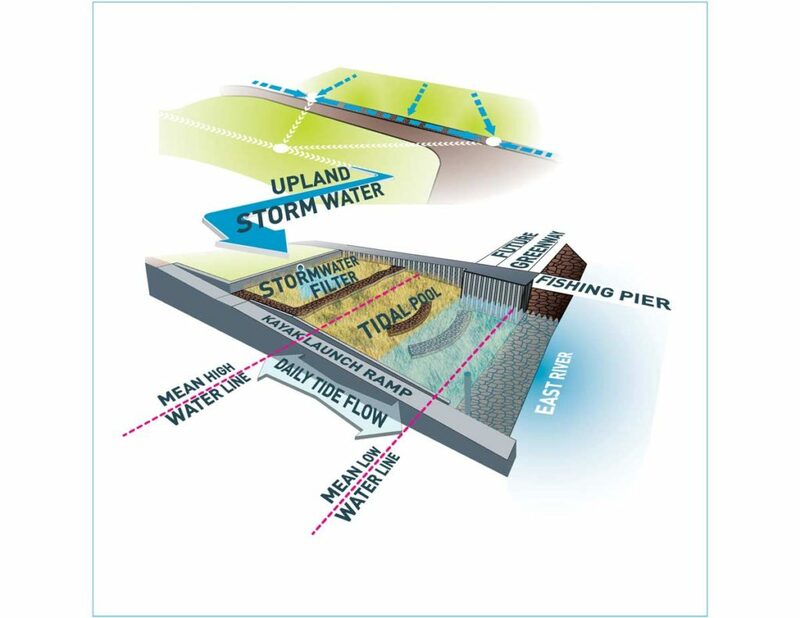 The site’s distinctively long rectangular shape derives from its former use as a street and is the organizing device for activities that transition from internally focused in the upland sector to outward, water-based focused toward the restored shoreline. 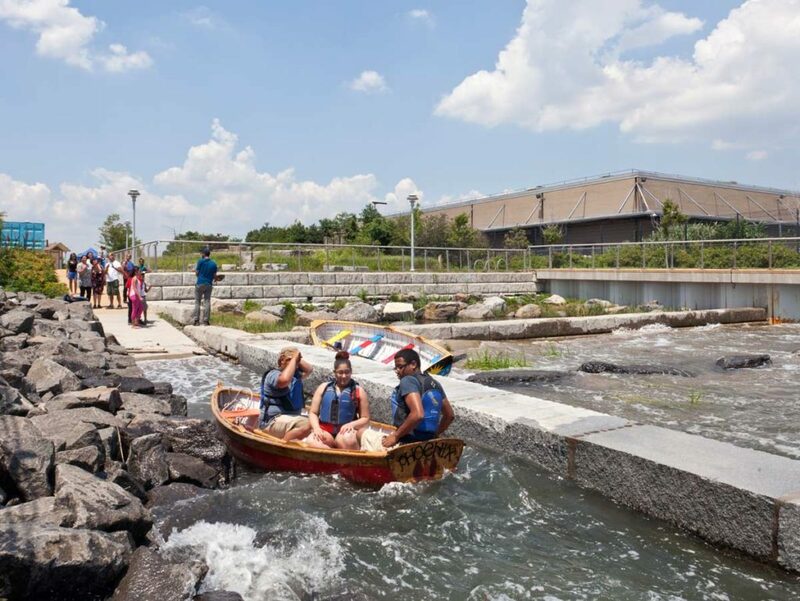 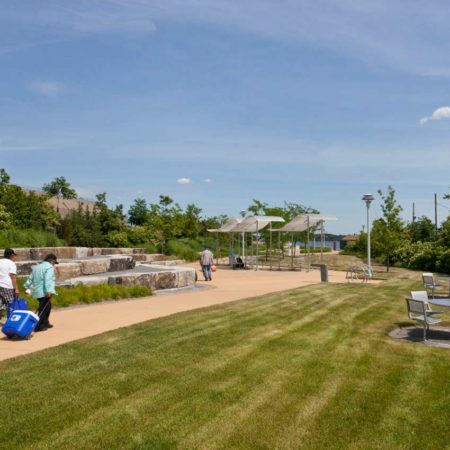 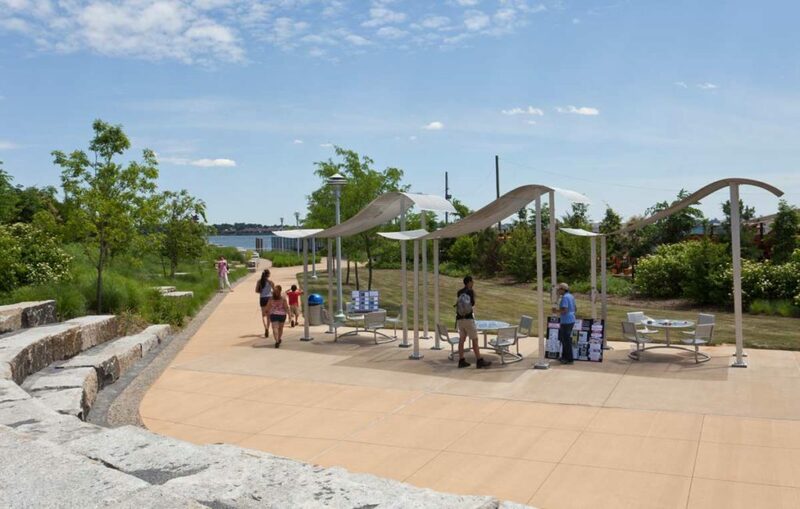 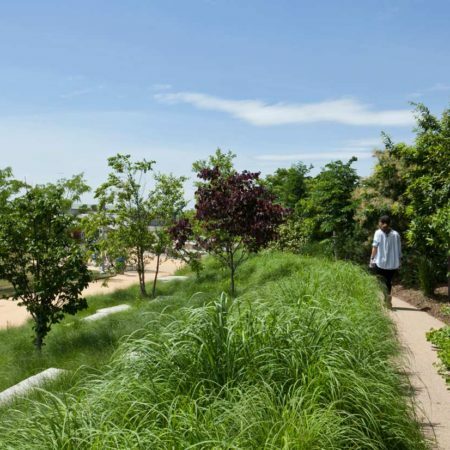 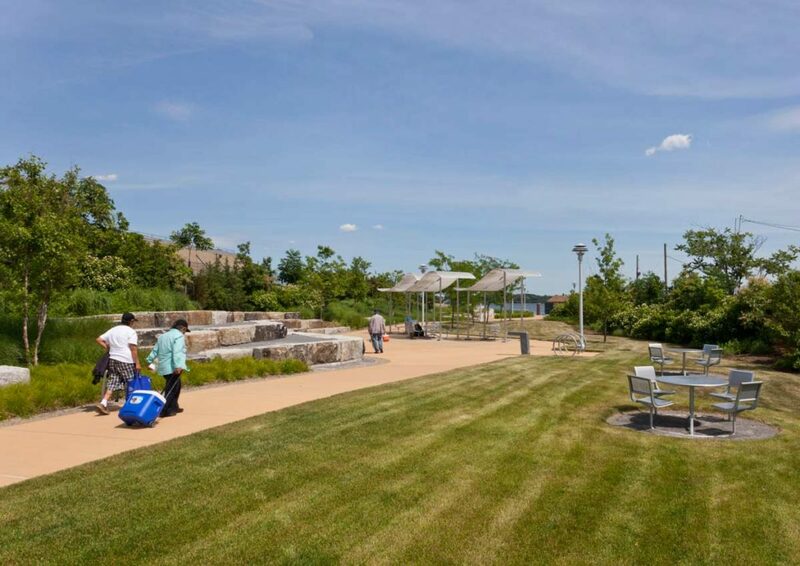 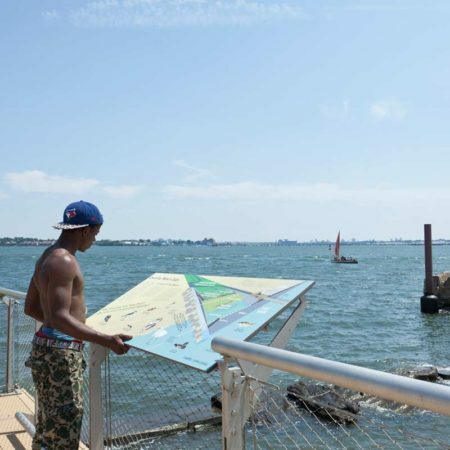 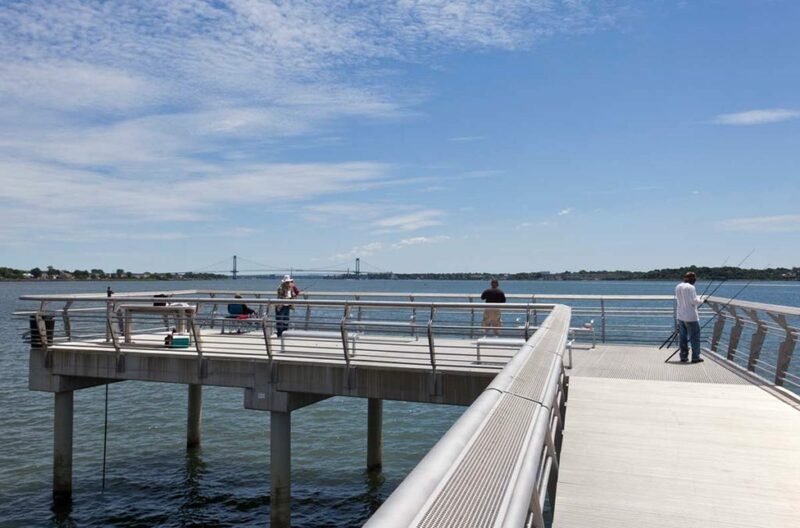 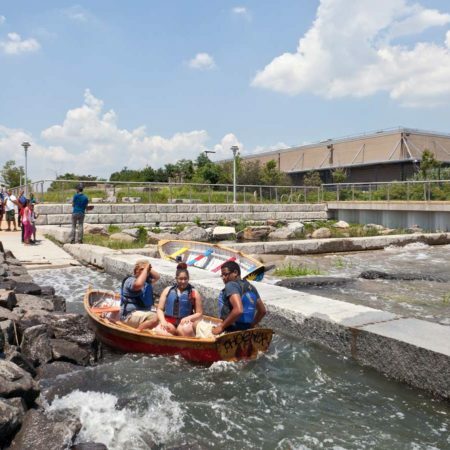 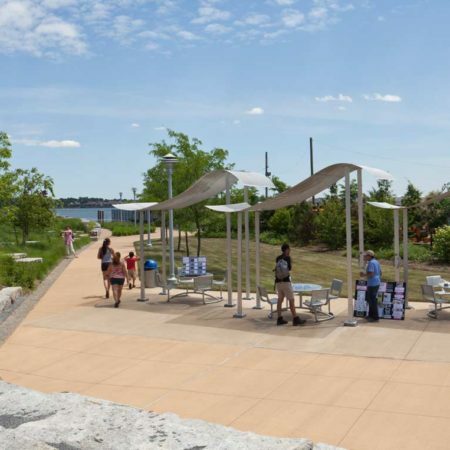 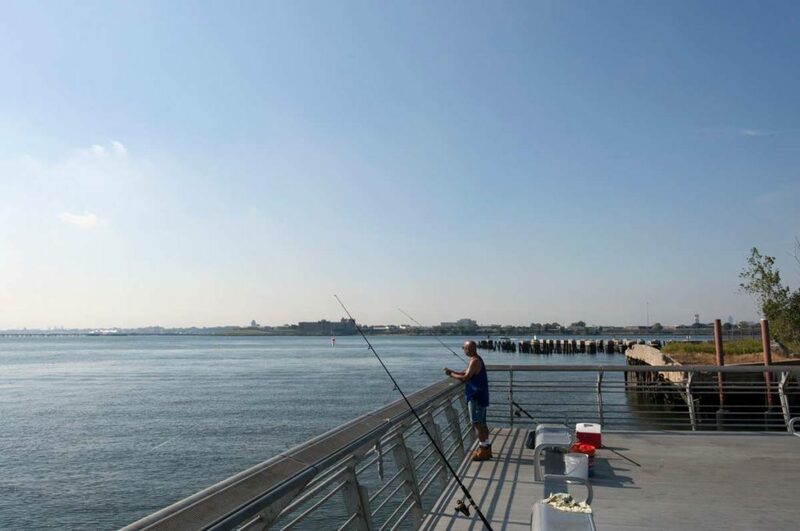 Located at the confluence of the Bronx and East Rivers, the 1.5-acre site offers panoramic views; the circulation and topography within the site have been calibrated to ensure that a visitor sees the water and is drawn to the shoreline upon entering the park. 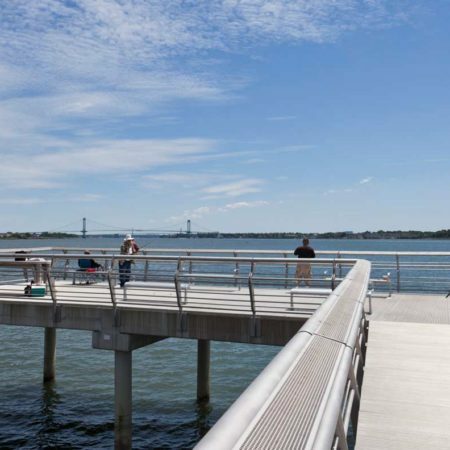 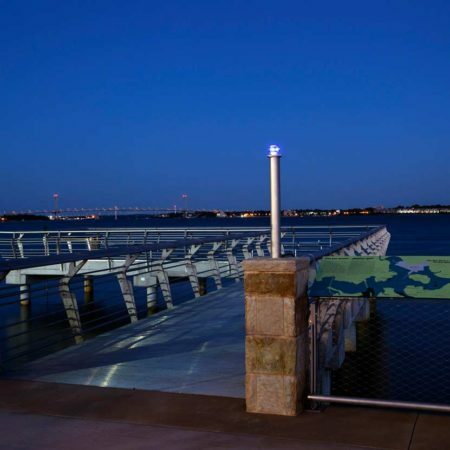 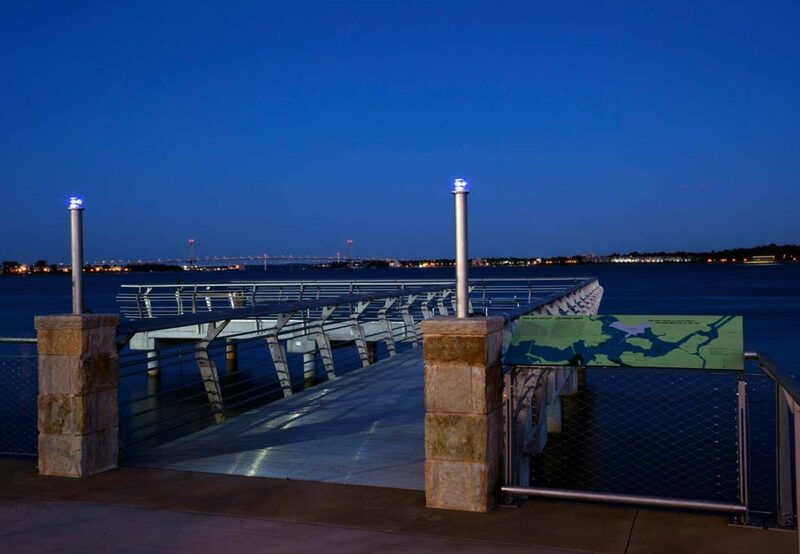 Water-based activities include a fishing pier, kayak and canoe launch, as well as a natural shoreline that serves as an educational demonstration of the interaction of fresh and tidal waters. 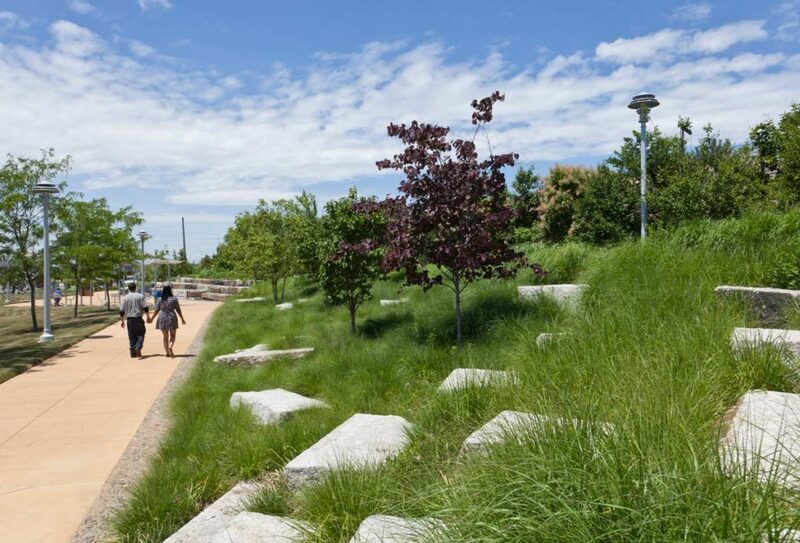 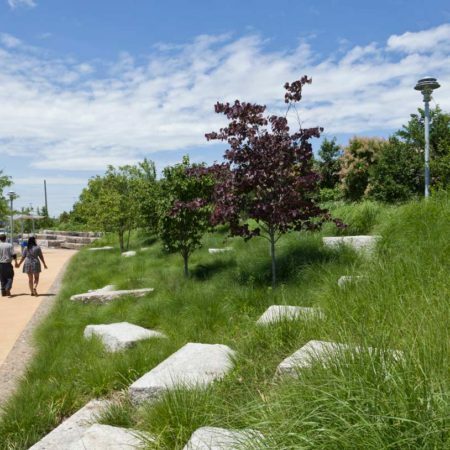 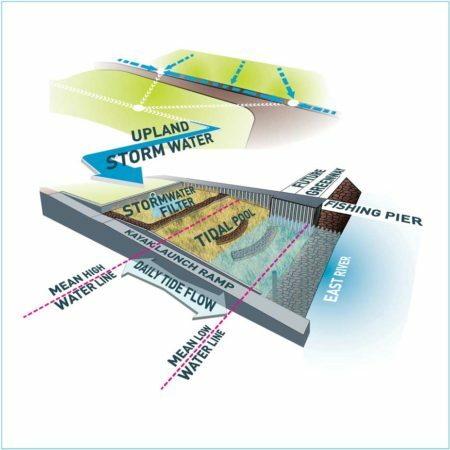 MNLA’s innovative stormwater and shoreline design has been recognized by the National Oceanic and Atmospheric Administration (NOAA), which generously provided grant money for its construction. 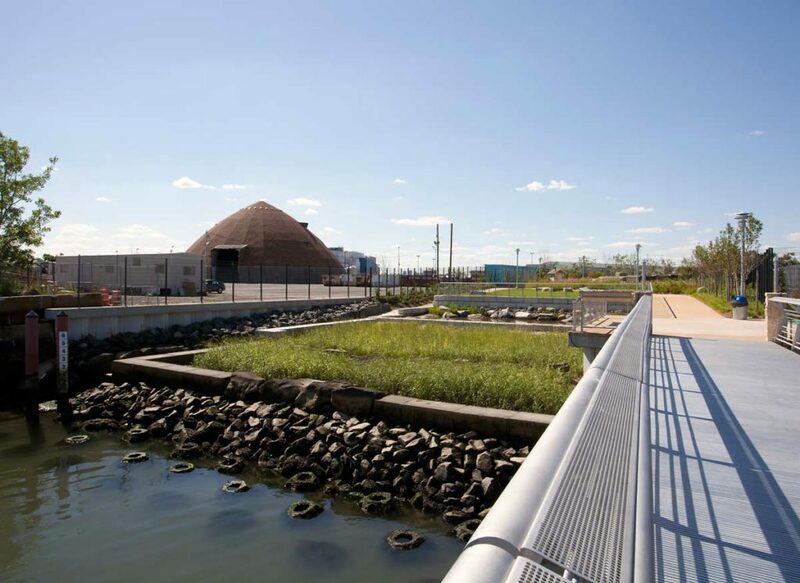 Winning two stars as a SITES™ pilot project, Hunts Point Landing is a paradigm of sustainability and proves thoughtful design can be as beautiful as it is useful. 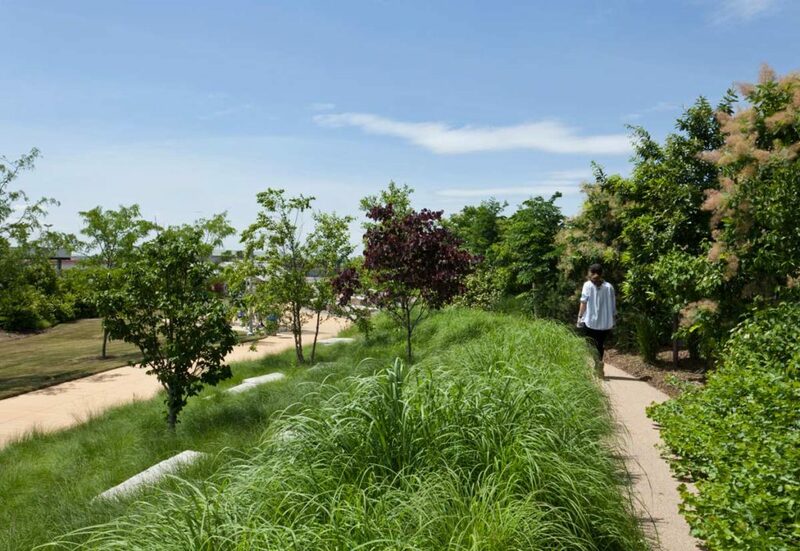 Entrant office name: Mathews Nielsen Landscape Architects, P.C. 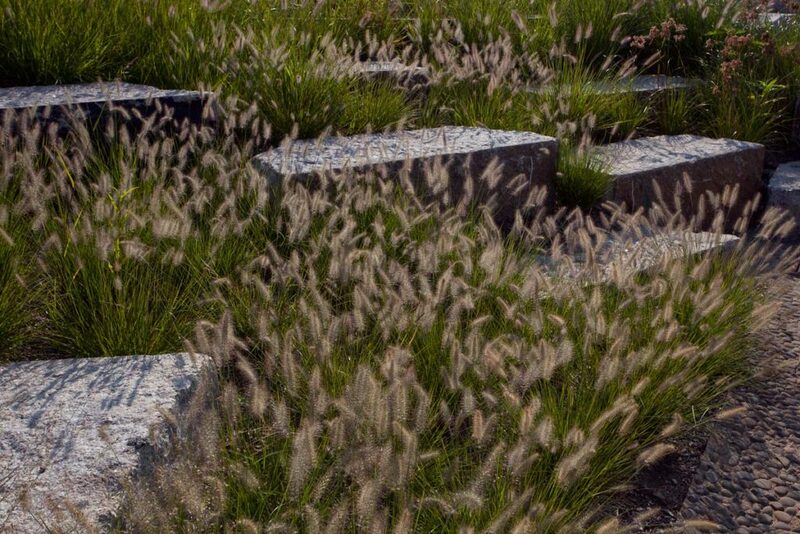 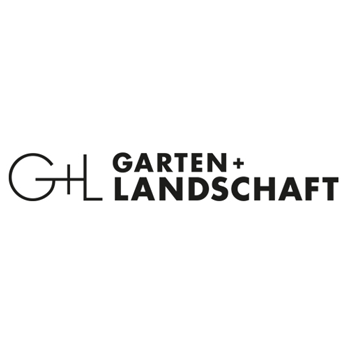 more by Mathews Nielsen Landscape Architects and P.C.